If you’re making the decision to put your home on the market and you’ve spruced up the interior of your home and even did a little bit of remodeling, you’re off to a great start. But did you know that a great landscape could add up to 15% to a home’s resale value? Increasing curb appeal is imperative if you want to sell your home quickly for maximum profit. So if your landscape is looking blasé, now is a great time to beautify. Not everybody is going to see your house in the sunny daylight hours. 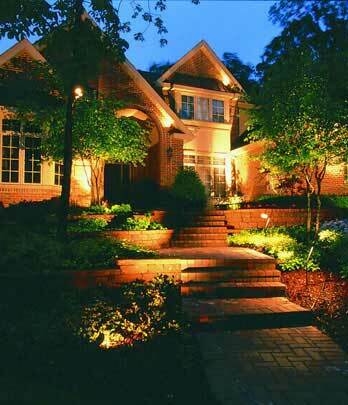 It’s important to have proper lighting outside of your home for safety reasons, and also to enhance the landscape. Path lighting is important as it can prevent trips and falls. Motion-activated flood lights above the garage and backdoor are also beneficial as they can help alert you to break ins. For added curb appeal, consider uplighting trees or large shrubs in your yard to highlight the beauty of your landscape, even at night. Trees and well placed shrubs not only add visual interest to the landscape, but when well-placed have other advantages as well. You can create a sense of privacy around your home by planting trees around the outside of the house. Lush green trees are a subtler way to increase privacy than a tall fence. A well placed tree can also contribute to energy savings in the summer. Keeping your house cooler by shading it with a string of tall trees is more eco-friendly than running the air conditioner. You can use the National Tree Benefit Calculator to see just how much your yard would benefit from a tree. Fences, gates, and paved pathways and other permanent fixtures are considered to be hardscaping. These elements give your yard a focal point and can help draw the eye away from any imperfections. Depending on the style of your home and your neighborhood building guidelines, a fence can make a big difference when it comes to selling your home, especially if potential buyers have young children or pets. The hassle of putting in a fence might not be worth it to them, but they’d be willing to shell out the extra cash for a house that already has one installed. A deck, porch, or patio is also included in this. 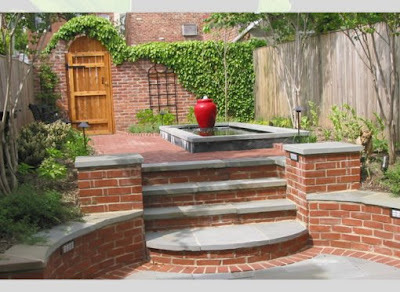 It adds to the amount of usable outdoor space, and increases the square footage of living space. Raised flower beds or even neatly tended in ground beds add life and color to the scenery. Look for flowers that are low maintenance, and thrive in your location. Perennials are a good option as it means that the new owners of the home will not have to do much to have a beautiful garden the following year. Your lawn should be lush, trim, and vibrant when you plan on selling your home. Especially if you’re selling in the summer months. 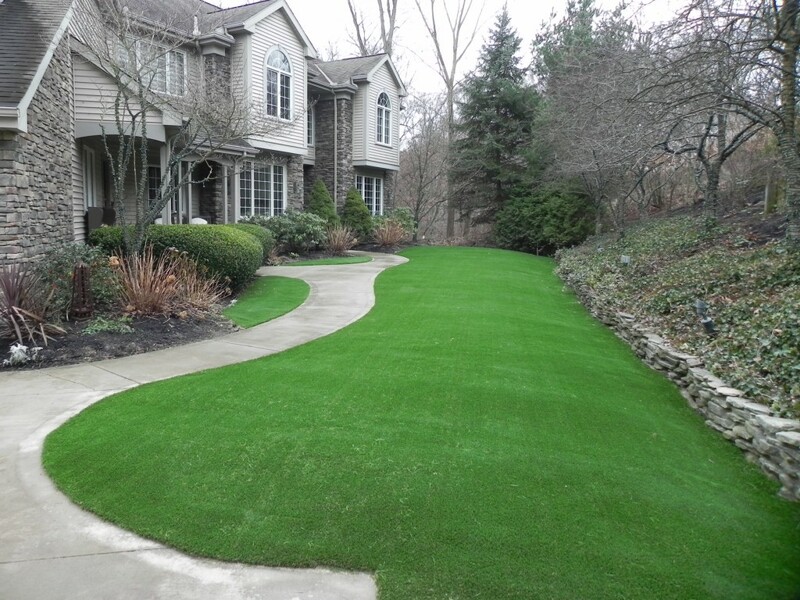 Regular watering and fertilizing will help keep your lawn looking healthy. Be sure to pull any weeds and seed any bare patches. 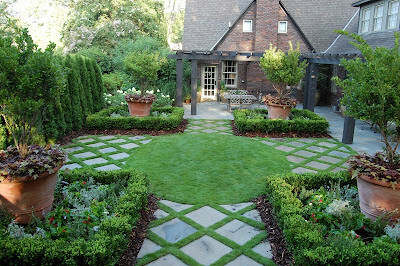 If things are really bare, laying down sod is a quick way to get the lush grass homebuyers are looking for. While all of these aspects of landscaping are important and will enhance your curb appeal, you also need to consider how the house itself looks from the street. Siding, roofing, and other architectural details are just as important. A pretty yard won’t save a home with peeling paint. Together, nice landscape design and well maintained siding and roofing will greatly increase your home’s curb appeal. This article was written by Erie Construction. Follow Erie Construction on Twitter for updates on home improvement and tips.